ASUS A42JC-VX047V 14 Inch Laptop features 3 MB L3 cache, 2.40 GHz with Turbo Boost up to 2.93 GHz, DDR3 1066 MHz, 35 W. Powered by Intel Core i5 520M Processor and NVIDIA GeForce G310M 1GB VGA. Equipped with Windows 7 Premium (64 bit) and SRS Surround Sound with Altech Lansing Speaker. Warranty: 2-year Limited Warranty by Authorized Distributor, Except battery and adaptor 1 year warranty. 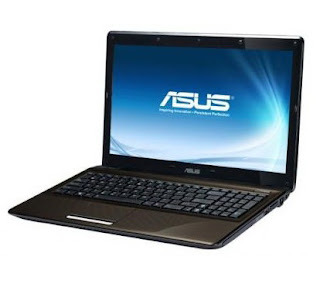 ASUS A42JC-VX047V 14 Inch Laptop With Intel Core i5 520M Processor available for $ 1,125.00 in price. Share and Enjoy : ASUS A42JC-VX047V 14 Inch Laptop to your friends and peers!! !